Paul Wilkinson Might also have mentioned QA Software’s Teambinder, RIB’s ProjectCentre and Conject (picking up some work in New Zealand, apparently). 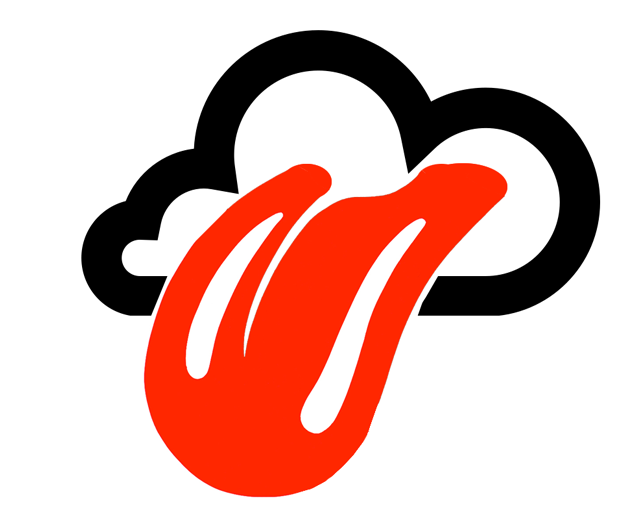 The news that yet “another” new-form-a cloud service platform is to be brought to Australia to join the 8-10 existing services made me reflect on Paul’s post. Just how many services does an already fragmented and inefficient industry need (as it tries to get more collaborative and more efficient)? And says, I’ve won five pounds if I have his kind of detergent pack. ** I was previously employed by a Newforma partner organisation. In a much anticipated (and welcomed) move to direct sales, Newforma will soon be opening a Melbourne base to promote and drive Newforma Cloud product sales. The Newforma Project Cloud solution is hosted on Amazon Web Services. Due to growth, we are currently seeking Inside Sales Reps to join our newly created team where you will be responsible for prospecting, developing opportunities and closing deals over the phone with senior level decision makers within the construction, engineering and infrastructure industries in the Mid-Market to promote and drives Newforma Cloud product sales. Is Dropbox the sleeping giant that will take the SaaS providers by the throat and provide a BYOP (Bring Your Own Platform) revolution to the current AEC industry? In a significant design step, Dropbox for Business can be allocated to new users or appear alongside an existing Dropbox customer’s personal account. The idea is to create a relatively seamless experience of managing business and personal data. In the future, Dropbox is likely to build things like tools for workers to collaborate on company material. With about 100,000 independent software developers who have already made a lot of applications that work with Dropbox, others are expected to build specialty services, like versions suited to lawyers or construction. The report also emphasized Genie’s potential to transform the conservative construction industry, one of the most profitable and the most wasteful, by making it more efficient and environmentally friendly at the level of design, construction, and maintenance. The report suggests the invention could save 30-50% in construction costs and 30-50% of the time spent between planning and market; moreover, it could generate $120 billion a year. Globes reports that a successful prototype of Genie has been released and well-received by architects and industry professionals; it is now being developed not under Google X, but under a spinoff company: Vannevar Technology Inc.
A quick round-up of the current “Cloud Players” down under. 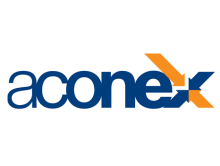 Aconex provides the world’s most widely used Software-as-a-Service (SaaS) platform for managing information, documentation, BIM models and related processes and people throughout the lifecycle of construction and engineering projects. 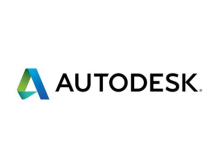 **Autodesk were a sponsor of the BIM Day Out. **The BIM Day Out promoted the Build Sydney Live 2013 event. Making a “splash” in 2013 was UK collaboration platform Asite, who’s global BIM event Build Sydney Live attracted plenty of media attention and industry participation. The 48 competition was hosted the Asite cloud platform Adoddle. Click here for a presentation of the Build Sydney Live results. **Bentley was a sponsor of the BIM Day Out. ProjectWise has been a part of the Bentley software portfolio since the late 1990s. It was rebranded as ProjectWise in December 1998, growing a loyal user-base among engineers on (mainly) infrastructure projects (here in ANZ). Fast forward some 20 years and ProjectWise has not only grown to support multiple vendors, applications and file types, but has recently “sprouted wings” and become cloud-enabled thanks to a partnership with Microsoft Azure to deliver its CONNECT MANAGEservices, a move which will see it substantially expand its global network. I first posted about G-Team from Ghery Technologies in April as the software was being utilised on the first Ghery building in Australia, the Dr Chau Chak Wing Building at UTS. GTeam is the easiest platform for project teams to collaborate and share documents, files and 3D building information online. Architects, designers, engineers, contractors, consultants, and owners use this centralized web-based platform to reach consensus faster, reduce change orders, save time, get more work and reduce project costs. Unlike other file-sharing solutions, GTeam is purpose-built for the AEC industry. GTeam is built from the ground up to support BIM collaboration and doesn’t require expensive or complex software. Nexus Point Solutions is a Nexus Point Solutions is today a 100% controlled entity of Leighton Holdings (this is confirmed in Leighton’s 2007 financial report) and is a value-added reseller (VAR) of think project! INCITE incorporates an abbreviation for “Construction Industry Trading Exchange”, and reflects the origins of the business; it was to be a portal focussed at delivering document management, tender management and e-procurement solutions to the construction industry. Originally Optus inCITE was launched in Australia in June 2003, with several major construction businesses said to be committed to using the platform, including Barclay Mowlem, John Holland, Leighton Contractors, Thiess and Walter Construction. Technology partners included EU-Supply (tendering software), Berlin-based AEC/communication (who provided ThinkProject! document management software) and Conexa (purchasing software). However – and similar to the UK market 2-3 years earlier – the Australian AEC market was not ready for online trading exchanges and the focus shifted more towards document collaboration – just as it did for the “Australian Construction Exchange”: or Aconex. Nexus Point is the exclusive distributor of think project! for ANZ and has certain rights throughout Asia – so effectively we license the technology. The differentiator with Incite is the level of service provided – Incite host on very high-end environments that are custom integrated to fit Incite and provide maximum availability and service to customers. Incite provides 24/7 manned helpdesk services out of Australia, dedicated fixed/leased line access to our data centre facilities for customers with high bandwidth requirements and we offer very extensive consulting services to ensure that projects are engaging with the product to best fit the customer. The Idox Group acquired McLaren Software in October 2010, adding and merging CTSpace with McLaren a year later as part of the group’s strategic diversification and growth strategy. Over 20 years industry specialization, engineering document management, control and engineering project collaboration experience sets McLaren apart from general document management vendors. Combining the advantages of Cloud Computing with comprehensive engineering document management and project collaboration features, McLaren FusionLive is designed to support single or multiple construction projects. providing users with the ability to open, view, navigate, select / deselect components and attribute information held in 3D IFC format models. McLaren CAFM Explorer users will also be able to access these models in future releases supporting the building lifecycle from construction to facilities management. “This first phase of BIM support is a natural progression for FusionLive for construction collaboration and also for CAFM Explorer for facilities management. Streamlining processes and communications between users is a key foundation for a BIM strategy. This latest release also includes submittal comment management and other features designed to simplify ease of use and efficiency but not losing sight of the importance of the single point of truth for a project. Extended BIM support will be announced in the near future as McLaren enhances our offerings to support building construction and facilities management for our Built Environment customers” Paul Muir CEO McLaren Software. In September of 2012. RIB AG announced that it had completed the acquisition of the Cloud (SaaS) Software company CADX Pty Ltd. trading as ProjectCentre in Sydney Australia. ProjectCentre founders Paul Hemmings and Tim Clare joined RIB Software ANZ: Paul becoming a Global Director inside the Global R&D team, and Tim a leader in RIB Software as Director for the Centre of Excellence. 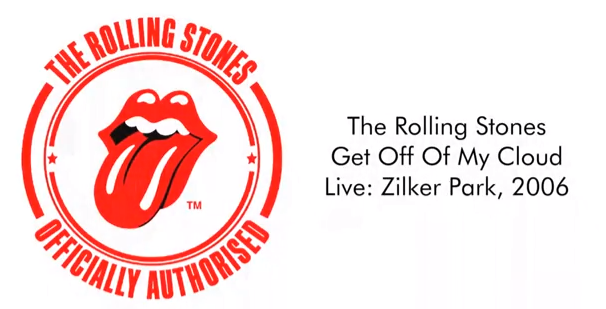 However, a year later and Paul Wilkinson noted (like many others) that “apart from a little rebranding of the website (“RIB ProjectCentre”), little had changed”. ProjectCentre is a web-based Project Delivery System designed to reduce risks and coordinate efforts of all participants on a project. Software Managing Time, Cost and Quality offering project management, document control, contract administration, financial management, and much more. Documents Brought to Life while eliminating duplication, standardising delivery and providing transparency. We bring your documents to life. The documents contain your company’s workflows and approval gateways in accordance with your management structure. The documents themselves manage the process so you don’t have to. Oversight is automatic and transparent. To-Do lists and all correspondences are seamlessly organised and prioritised. All history is recorded on each document and readily available for complete records management. ProjectCentre sends invitations to visit documents at their one central location, instead of “sending out” documents to various people (see Methodology). All documents remain in one place where everyone who needs to, can collaborate together on them. Thus documents are always accessible and never lost. The single source for project knowledge management, QA Software is a leading provider of information management solutions for the construction and engineering industry. We provide a suite of products that help clients deliver their projects faster and within budget. A proven track record on thousands of projects world-wide and our ability to understand client requirements have made QA Software a SaaS solutions industry leader. TeamBinder is an advanced internet-based project collaboration solution that enables all parties on a project to communicate and share project documents in a controlled environment. With all your project information managed and maintained on a secure, open platform, project participants are able to focus on the successful delivery of the project on-time and within budget. 4Projects, well know to UK readers and expatriates, was recently acquired by the US makers of Viewpoint Construction Software. Viewpoint established an office in Melbourne some 3 years ago (headed by the CEO’s son, Scott Haladay. 4Projects is an award winning provider of on-demand collaborative online software. Established in 2000, they are a market leading innovator in our field with 18 of the top 20 UK construction contractors using 4Projects and three of the top five companies using 4Projects as their sole provider of collaborative software. 4Projects improves the project management process, providing a comprehensive toolset for online collaboration, document control, information management, communications management – and much more. 4Projects enables individuals and teams to share information, documentation, and communication from anywhere in the world, at any time. And if you made it this far .. you deserve a hit! This entry was posted in BIM Collaboration, BIM in Construction, BIM Software on November 21, 2013 by rumbelom. Thanks to a recent posting by Rob Fischer at IMAGINiT (AUS), Autodesk has now released a public beta of an Life Cycle Assessment (LCA) tool for Revit called Project Tally™. Tally™, by KieranTimberlake and PE INTERNATIONAL, is a plug-in application for Autodesk®Revit® software that allows users to quantify the environmental impact of building materials for whole building analysis as well as comparative analyses of design options. Project Tally is a public beta where KieranTimberlake, PE INTERNATIONAL, and Autodesk are collecting feedback on the Tally technology from Autodesk customers. This entry was posted in Uncategorized on November 20, 2013 by rumbelom. After my original post about the great work ANZAC programmers are doing with the Autodesk Revit API, a few comments (and omissions) have come my way which I included in this update. Firstly, a long time contact of mine, Autodesk APAC Manager of Partner Apps & Services, Mr Arvind Thangli took issue with my opinion that many of the work done by API programmers are “fixes”. Symantics aside, the brief dialogue is below. Arvind Thangli You have drawn me into a conversation by calling plug-ins a “fix” 🙂 I will fight to death on why extensibility and choice isn’t (a) fix! Matt Rumbelow I thought that may get a response/reaction .. and touche to you too. However, looking at some of the resources that these programs and plugins address, the ‘common user’ would wonder why they aren’t a feature of Revit already. So perhaps a “fix” is more its use then a descriptor. Debate. Arvind Thangli Will try – Most consumers think that companies that build products (generally, not just software tools) know everything, can take care of everything. They don’t. They can’t (time, resources). By creating tools that have certain amount of openness we allow that farsightedness and expertise to trickle in. Too preachy? Secondly, I lamented that I left out of my original ANZAC is fellow BDO presenter Mr Jon Mirtschin. (I knew I would leave someone out!). Jon hails from Warrnambool, Victoria and studied structural engineering at University of Melbourne. However, as he is currently delivering global programming and consulting services from Johannesburg, South Africa I (mistakenly) ommited him. My #BIMbad. Geometry Gym develops utilities and plugins for Rhino3d, Grasshopper3d, Revit and Vasari that enable BIM generation and exchange. Installation instructions are outlined here, please don’t hesitate to contact me for advice if you strike problems or need installers for older versions. Most Rhino plugins will work in Rhino v4 as long as Grasshopper has been installed and run. Lastly, coincidently I received a posting from AR Software Solutions director Andreas Ricke which I thought was fairly representative of the benifits, abilities (and value) that API programmers (and their products) can provide. I have included it below. “Are you cynical about addins, apps, people trying to flog you stuff that you might find useful, but not at that price? I’ve got to admit that over the years I pretty much fell into this category. Cost was always an issue, as was the functionality of the software. Sometimes the software would get close to what was needed but often it simply didn’t allow for the way we worked. Then of course the payback period could be estimated to be months, if not years. Do it yourself approach: Therefore, when the software didn’t exist, I would set about creating the routine to automate the task. I knew that spending a few hours today would save me, and the rest of the company, so many more hours the next time the same task arose. If you consider the costs involved in software development, using salaries as a cost base, we are probably looking at figures of $500 per day. Using charge out rates, costs go up to $1600 per day. Depending on what the software does as well as the programmers skill level and understanding of the problem, it would be rare that anything of substance could be done in under a week, and often much longer. However the savings in time, and reduced frustration come the many times the routine is used again. Hopefully the returns will well exceed the cost of development. Provided you have the skills and the time, developing your own in-house routines is a viable option, and there are many who argue that every company would benefit from having such a person in-house. Costs: Unfortunately these skills are uncommon and excess time is not something many companies have. If you costed this up front, few companies would be comfortable with 10’s to 100,s of thousands of dollars to put toward this in house expert. This entry was posted in BIM Software, IFC on November 19, 2013 by rumbelom. 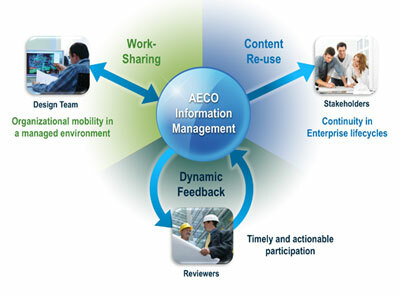 IFC – Information For Collaboration. Revit gets updated exporter. In a sign of their continuing (and improving) support of OpenBIM, Autodesk has released version 3.7.0 of the IFC exporter for Revit (Architecture, Structure, MEP and even LT). Angel Velez, Senior Principal Engineer at Autodesk and his small team have now released at least 10 updates to these exporters this year alone. If you are serious about collaboration and providing the best IFC output for your colleagues, consultants and clients, you should ensure you are utilising the latest IFC exporter. Simple really. New functionality for includes the _IfcTelecomAddress containing the primary e-mail address of the user if it is set via the alternate UI. Major improvements on exporting correct values for parameters, including the continued cleanup of code to make adding new parameters easier. Limited support for currency, based on supported values in Revit. Improved scaling for parameter values on export to respect offset values, primarily for temperature. Support for Celsius in addition to Kelvin. Support for electrical illuminance, luminous flux, luminous intensity, luminous efficacy, and pressure and separate units for color temperature vs. thermodynamic temperature. An improvement that received little fanfare was the support for the new IFC4.0 in release 3.4.0. Autodesk was “straight out of the blocks” in supporting the IFC4.0 schema (surprising many) however it is noted that the it is currently “basic support for IFC4 export of the corresponding Coordination View 2.0 MVD (Model View Defintion). The ifcXML format for IFC4 is not supported as yet. BuildingSMART International now offers certification of the vendors who support the IFC schema, and provides rigorous (some may so too rigorous) testing of each of the BIM packages and how the handle exporting and importing. Autodesk has achieved certification of IFC2x3 (think of it as IFC2.3) and now is able to display the new certification logos below. For more information of the certification process and the other qualified vendors see the link below. This entry was posted in Uncategorized on November 15, 2013 by rumbelom. Whether by ingenuity, ability, or just plain necessity, there is now a large group of ANZ options when it comes to Autodesk Revit plugins, extensions, and add-ons. Whilst this may not be an exhaustive list, it does show that not only do we produce above average BIM practioners and managers, but a steady stream of BIM programmers as well. Whilst the BIM approach of Revit addresses many large project issues it also creates many new challenges. Having been Bates Smart’s National CAD / BIM manager (with a good dose of IT manager thrown in) for over 23 years, Andreas is very familiar with these challenges, such as navigating projects with 100s of sheets and 1000s of views, maintaining standards, inducting new team members, and so much more. Andreas solutions are in direct response to these challenges. Throughout his time as both a CAD Technician and BIM Manager, Chris Mckeown has always searched for the most effective and efficient procedures to complete any given task. His current knowledge of architectural practice ensures that he is well aware of the existing gaps in workflows to produce documentation. This is where a unique foundation in both architecture and programming allows Chris and Kiwi Codes to produce essential Revit API Solutions for clients worldwide. Redbike applies innovative thinking to deliver our integrated Building Information Modelling (BIM) solutions to building owners and developers, designers, construction and facility management firms across Australia. BIM Apps developed by Redbike can automate common tasks and deliver great efficiencies to your BIM productivity. They can connect your BIM and documentation production process with your office workflow providing a more seamless and compliant process overall. Rockit™ Revit® productivity tools to assist model and BIM managers, and anybody using Revit® with a massive collection of the most useful and productive add-in utilities on the market. Using Rockit Bulk Rename you are able to rename multiple views or sheets or anything! with one click using the powerful find & replace, suffix, postfix options. With parameters manager you are able to quickly find the shared parameter you are after and bind it to the project or family, quickly rename or delete shared and project parameters. With the project search tool you can find anything within the project browser so simply, like you are using Skype and searching for a contact, this functionality has been included into the object style and materials search, category search and publish tools. Family management commands. Publish to PDF (include sheet revisions), manage links, sheet creator, and so much more. RTV Tools Limited, an Authorized Autodesk® Developer, was founded in New Zealand in 2007 by a group of passionate and expert Revit users with over 50 years combined experience in the AEC industry. Jason is passionate about design, technology, BIM and collaboration. Over his career he has worked for leading architectural practices in New Zealand, the United Kingdom and Australia. As founder of RTV Tools Limited Jason believes that the AEC industry must embrace change, BIM, ICT and collaborative work processes to remain sustainable in a world driven on technology that is increasingly moving faster and getting more connected every day. Their specialized plug-ins for Autodesk® Revit® including our Drawing Manager, Xporter, Reporter, Shared Parameter Manager and Paint are unique and are saving AEC project teams’ worldwide time and money every day. Chris has extensive knowledge of Autodesk Revit (daily user since 2001) producing a large variety of different types of projects from small office fit-outs to billion dollar defence, health and infrastructure projects. As such, Chris has developed a broad and extensive understanding of what the current software, Autodesk Revit, can and cannot do. From this experience, Chris understands what the pain points are for our customers and has hands on experience achieving the desired outcomes and deliverables. Xrev to date has accumulated a database of hundreds of companies interested in Xrev products. Xrev has conducted numerous surveys to identify user feedback on the products 100% of which is very good or excellent and 100% of users who have purchased one of the Xrev products has recommended it to others. This entry was posted in BIM Software on November 14, 2013 by rumbelom. These days too much cloud computing is never enough. But BIM Day Out sponsors Aerometrex has gone one step further with true “cloud simulations” in the latest update to aero3Dpro. Aerometrex has integrated true 3D weather simulation including cloud cover, fog, snow, sun position, flood and building integration using aero3Dpro 3D model of a Melbourne CBD model. This entry was posted in BIM Visualisation on November 12, 2013 by rumbelom. Bridging The Information Gap with GHD and Tekla. Pacific Computing is running a series of seminars to share why you should choose Tekla for BIM and how GHD are using BIM in Buildings and Infrastructure. George joined GHD in 2007 after emigrating from South Africa. He is the lead bridge Drafter/Modeller in Brisbane and a Service Line Coordinator for the bridge service line. He has been Drafting and Detailing bridges for over 20 years. He is also leading the initiative for the bridge services line to transition from a 2D CAD environment to a 3D BIM environment. 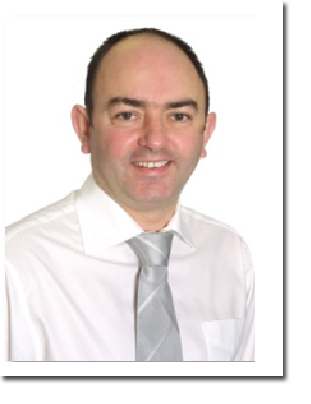 Michael Evans has worked in the construction industry for over 26 years and has been involved in many projects such as Kansai International Airport, Heathrow Terminal 5 and The Royal London and St Bartholomew’s hospital in various roles from Detailer to Engineer to BIM consultant. 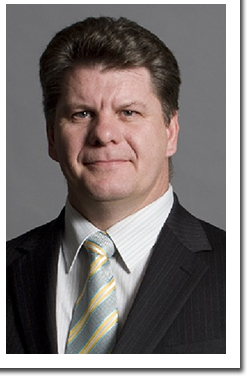 He is now responsible for developing the Engineering and Key Account segment business at Tekla. This entry was posted in BIM Collaboration, BIM in Construction, BIM Software, IFC on November 11, 2013 by rumbelom.